I sampled these on my Yamaha MT-09 SP, during which time they covered more than 3000 miles and undertook a hot day at Cadwell Park. They are a huge improvement over the standard Bridgestone S20s and make the steering beautifully light and accurate. Wet performance is decent, as is warm-up time. Wear rate is good too. The first 2000 miles were heading from Land’s End to John O’Groats and back and although they squared a little it didn’t affect handling. Track grip is impressive, up-to a point. If you are a club-racer-fast rider you will find some movement on corner entry and exit, but even when the rear slides it’s all very friendly. 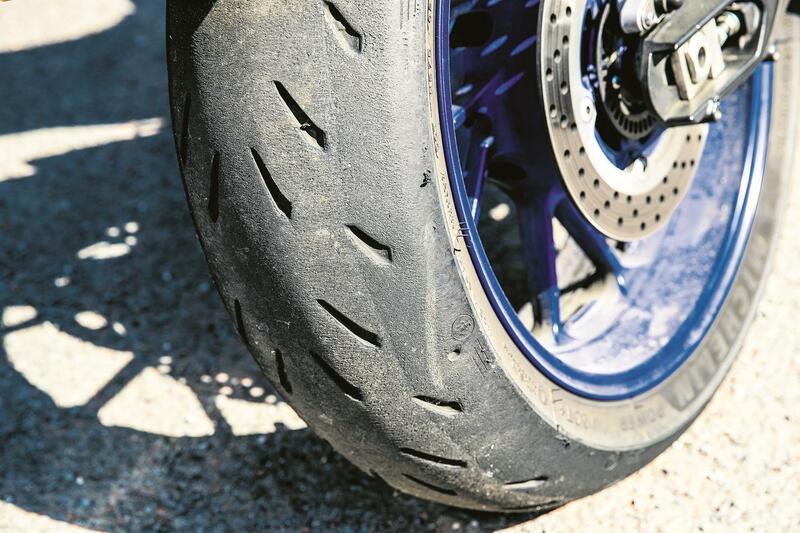 Michelin’s Power RS is designed to be a sporty, grippy road tyre that can also handle reasonably-fast track use. Deemed to sit between the Pilot Power 3 sports road tyre and the Power Cup Evo race tyre, they have been designed to warm up quickly, offer good grip at road-going speeds, yet still perform on the track. From my first impressions, they work very well. 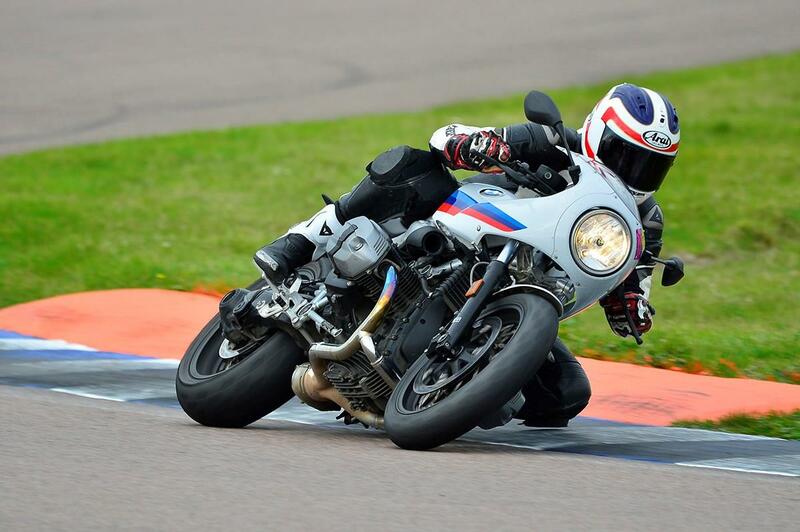 I fitted them to my tweaked BMW R nineT Racer last year and for my needs and in this specific application, they were better than both the conservative OE Metzeler Roadtec touring tyres and the very racy Pirelli Diablo Supercorsa SPs I also tried. The Supercorsas are excellent, with far more grip than the BMW could ever use, but the more neutral steering of the Michelins suited the R nineT. On the road, they gave the bike a lovely, progressive, rolling nature that complemented the chassis and allowed loads of feel. They also performed well enough in the wet and worked in the cool autumn conditions as well as I could want. Wear was good, too. I’d expect to get 4000 miles from a rear. On the track, they could handle everything the 110bhp BMW could muster and broke away progressively as I probed the limits of the bike’s ground clearance. They gave reassurance on the first lap without any tyre warmers, too. They are everything you’d want in a do-it-all tyre. Before giving them a 100% endorsement, I’d want to try them on a 150bhp+ bike in hot conditions, but on the R nineT they gave me everything I could possibly need. It’s rare a new generation of tyre takes such a step forward, but that’s what Michelin have done with their sporty new Power RS. They replace the Supersport Evo in the French firm’s range and will be available at the beginning of January in a wide-range of sizes, to suit everything from 300cc A2 licence machines to supersports, superbikes and the fat-tyred Ducati Diavel. As you’d expect from a new evolution of tyre, profiles, construction and compounds have all been tweaked and honed. 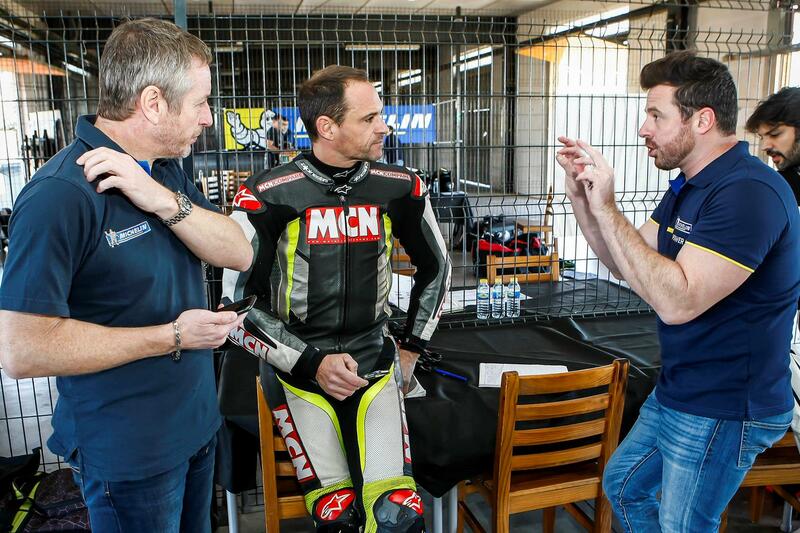 It also benefits from the added knowledge gleaned from Michelin’s new reign in MotoGP. The slightly lower-spec, but solid all-rounder Pilot Power 3 sports tyre will continue in the range. 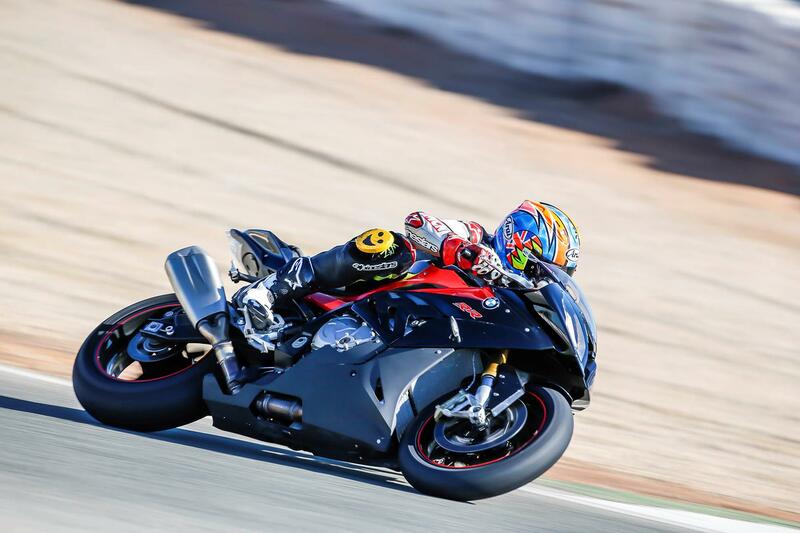 Although the Power RS is designed for sporty road use and the occasional trackday, Michelin let us try them at the Cartagena circuit in southern Spain on a BMW S1000RR – an aggressive machine that’s demanding on tyres. We didn’t get the chance to ride the new Power RS on the road, or in wet conditions, but once we get our hands on a pair in the New Year we’ll put them to a more real world workout. But here on track we can test Michelin’s claims of extra grip, feel, warm-up, stability and agility. Michelin brought along a pair of Metzeler’s M7 Sportec RRs (set to Metzeler’s recommended track pressure) for us to compare the Power RS against. The German-made tyre has been at the top of MCN’s tyre tree for the past two years and was always going to take some beating. But the new Michelins are a step ahead in ultimate grip, feel and confidence on the track, which is an impressive feat. The Power RS takes a lap or two to scrub-in and come up to operating temperature from brand new. As soon as they’re good to go they feel like racing tyres compared to the Metzeler. Front grip is outstanding and you can fire into corners at silly speeds trailing the brake and still neatly make the apex. They let you carry competition-levels of lean and on the way out of a corner the rear grip is superb, too. And when 200bhp eventually unsticks the Michelins, they drift with complete control and confidence. They’re agile, predictable and above all, make the BMW fun and easy to ride. Such is the amount of grip available on track they’ll handle anything you’ll be able to throw at them on the road, no matter what bike you ride. It’s not just lap records Michelin are already breaking in MotoGP, they’ve just leapfrogged the competition on the road, too. A big step up from previous generation tyre (Supersport Evo). A very high level of front dry grip and confidence into corners. Excellent rear dry grip and feel when the tyre slips under hard acceleration.